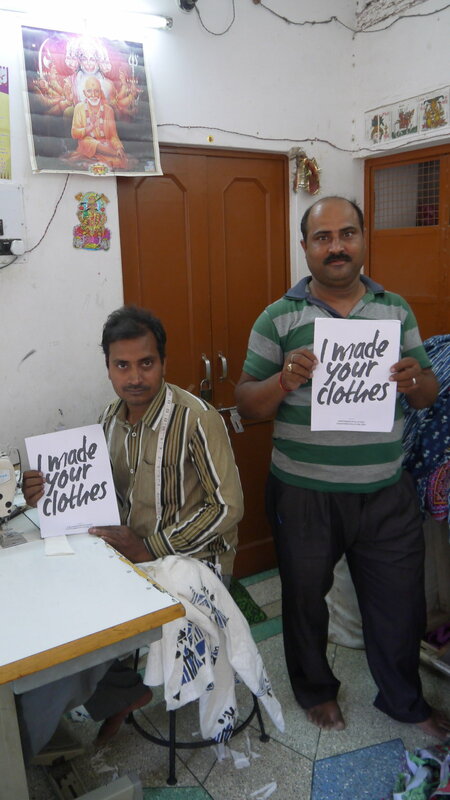 AK T IS A SOCIAL ENTERPRISE WITH THE OBJECTIVE OF UTALISING TRADITIONAL INDIAN CLOTHING MANUFACTURING SKILLS & TECHNIQUES, TO PROVIDE ECONOMIC SUPPORT & EMPOWERMENT FOR RURAL & DISADVANTAGED COMMUNITIES IN INDIA, WHILST INTRODUCING SLOW FASHION & SUSTAINABLE PRODUCTION ALONGSIDE PRODUCING DESIRABLE, AFFORDABLE CLOTHING. WE'VE PARTNERED WITH A DEDICATED SET OF VISIONARIES, TAILORS, SEAMSTRESSES, ARTISANS, PRINTERS, WEAVERS, SUPPLIERS & WOMEN'S EMPOWERMENT NGO'S. HOWEVER OUR MAIN BASES ARE WITHIN THE UK & JODHPUR RAJASTHAN, EAST INDIA. EACH STEP OF THE SUPPLY CHAIN HOLDS GREAT IMPORTANCE TO THE SUCSESS OF OUR DESIGN METHODS & SO WE HAVE DELIBERATELY CHOSEN TECHNIQUES & SUPPLIERS THAT HAVE THE ABILITY TO SUPPORT AS MANY SKILLS & INDIVIDUALS AS POSSIBLE. WORKING AT A GRASSROOTS LEVEL WE'RE CONFIDENT IN THE TRANSPARENCY OF OUR SUPPLY CHAIN. THESE ECONOMIC & CREATIVE OPPORTUNITIES CAN IMPROVE THE LIVES OF INDIVIDUALS, FAMILIES & IMMEDIATE COMMUNITIES. OUR FOCUS IS ON FEMALE EMPOWERMENT AND THE DESIRE TO SEE THESE WOMEN REINVEST THEIR INCOME, EDUCATE THEIR CHILDREN & ERADICATE POVERTY WITH IN THE COMMUNITY. WE'RE ALL FOR GENDER EQUALITY, PLUS WE LOVE A BIT OF GIRL POWER! OUR BRAND SUPPORTS THE IDEA OF 'SLOW FASHION' WITH EVERY GARMENT BEING HANDMADE; OUR FABRICS ARE HAND SPUN & HANDWOVEN USING TRADITIONAL TECHNIQUES & SKILLS. 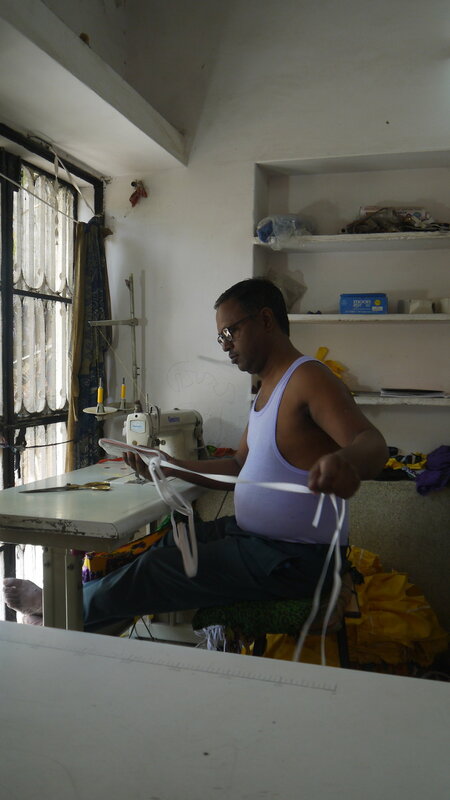 (100 METRES TAKES 40 DAYS TO WEAVE) NOT ONLY DOES THIS MAKE OUR COLLECTIONS LIMITED EDITION, THE METHODS USE ALMOST NO ELECTRICITY OR HARMFUL CHEMICALS WHICH MAKES EACH GARMENT VIRTUALLY CARBON NEUTRAL TO PRODUCE & REDUCES WATER WASTAGE. OUR AFFORDABILITY ORIGINATES FROM A LONG WITHSTANDING DESIRE TO SUPPLY DESIRABLE ETHICAL & SUSTAINABLE CLOTHING AT A RESONABLE PRICE & ELIMINATE THE 'ONLY OPTION' OF SUPPORTING 'FAST FASHION' BRANDS. AK T OPERATES MAINLY AS AN ONLINE RETAILER, WE BELIEVE THIS IS THE MOST POSITIVE APPROACH TO ECO FASHION DISTRIBUTION. RECEPITS, PURCHASES & DELIVERY DETAILS ARE COMMUNICATED VIA EMAIL TO REDUCE PAPER WASTE.